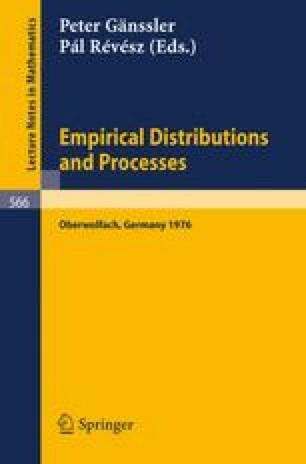 Strong approximation results and methodology are used to obtain in-probability representations of the empirical process when the parameters of the underlying distribution function are estimated. These representations are obtained under a null hypothesis and a sequence of alternatives converging to the null hypothesis. The fairly general conditions on the estimators are often satisfied by maximum likelihood estimators. The asymptotic distribution of the estimated empirical process depends, in general, on the true value of the unknown parameters. Some useful methods of overcoming this difficulty are discussed. Research supported by a Canadian N.R.C. Scholarship.